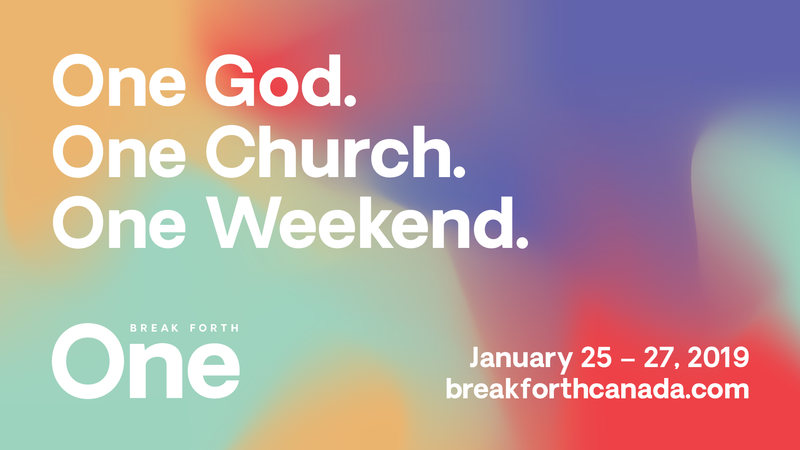 Join us for a spiritual weekend with Break Forth One. Enjoy various workshops, conference classes, exhibits and live entertainment that encourages attendees to live with love and grace in society’s changing reality, done in ways that are prayerful, strategic, thoughtful, loving and humble. As One. Break Forth One is an invitation to come together in unity. It’s an invitation to leaders and the broader church to come together and be equipped and empowered—to reach our neighbourhoods, cities, and country for Jesus. Friday, January 25, 2019: 8 a.m. – 11 p.m.
Saturday, January 26, 2019: 9 a.m. – 11 p.m.
Sunday, January 27, 2019: 8 a.m. – 1:30 p.m.
For the weekend schedule and programs, please visit the website here.